New Zealand lies amidst the lush green mountains and serene valleys. It is the ideal breakout to escape from the hustle and bustle of the city life. It is the perfect destination to visit on your next road trip and at the same time exploring some great wineries on the go. 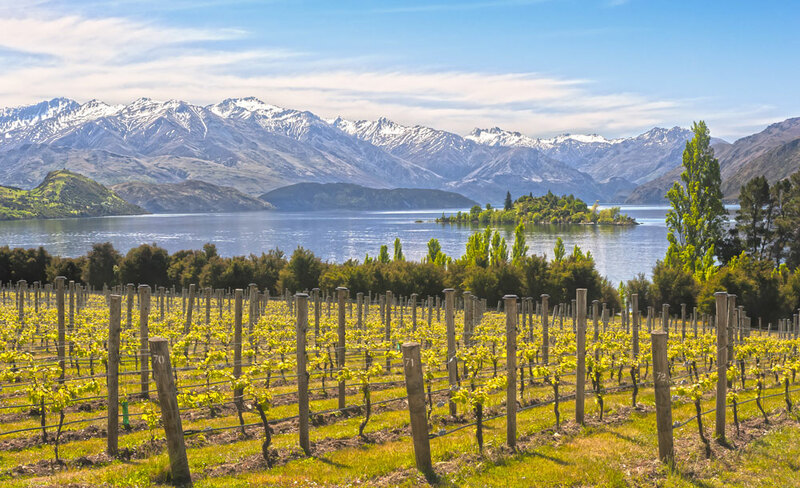 New Zealand’s naval climate along with ample of sunshine and nightly sea breeze, provides a suitable climate for the wineries located there. Wine plantation is normally bred over a period of 7-8 weeks. The slow mellowing period retains the freshness and the tenderness in the wine plantations there, thus making them rare. Nearly all the wine regions are located within a demarcation of approximately 120 km along the coastline. This country is stuffed with different soil types and varied climatic conditions, thus making it a hub of wine production. In addition to this, the snowy mountains and the blue rivers provide a beautiful background to the beautiful vineyards. This makes them enticing sites to travel for your trip to hop and dig around. 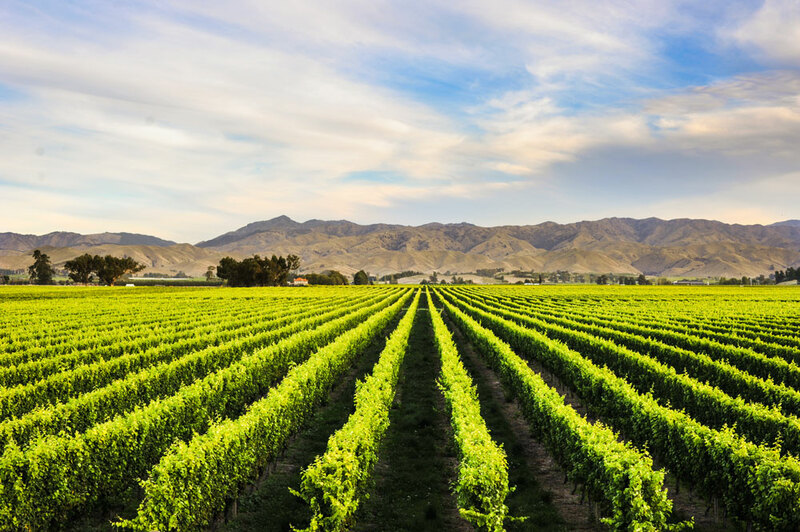 With these five winemaking regions along with picturesque locations, we are sure that you would love to find yourself passing by these vineyards when you are trotting along the routes of New Zealand. This place is located in the heart of Christchurch and has striking landscapes. Exquisite wide and empty plains cover this splendid region from the Southern Alps of New Zealand to the east coast of the South Island. This area is well known for its stony and alluvial soil. It has hot and dry climate in summer and cold, clear and frosty weather in winter. So, this region is gradually turning out to gain popularity in its speciality of Riesling and Pinot noir wines. Being New Zealand’s largest city, Auckland is home to about approximately 1.5 million people. It’s wine region spreads along a wide region and about 100 wineries dwell in it. It is a big city with sheltered harbours, islands, volcanic cones and so much more. It has a subtropical climate along with silty-clay subsoils or sandy loam soils. Most of the plantations are cultivated in the low lands along the east coast which is located on the outskirts of Auckland. It is abode to some of the most primaeval wineries. The speciality of this area is the Bordeaux style wine. This area is increasingly gaining popularity in the production of red and white wine as well. Many people from around the globe come to explore this enchanting little island which is a perfect escape for people of Auckland city. It is hardly 30 mins away and has world-class wineries, art tours, vineyards, wine tours and sandy beaches. Being located on the shore, the sea has a huge impact on the climate and initiates the growth of the grapes for the production of wine. The sea breeze helps in moderating the temperature. The soil texture and the weather are such that it can grow bountiful varieties of wine. This stretch covers lots of areas like The Waitaki, Kapiti and the Central Plateau Nearby Taupo. The wineries in this region are growing bit by bit and they are scattered over tiny pieces of land. It has a mixture of heavy loams and clay subsoils. It is fairly warm in summers and chivalry cool in winters. It has the Bay of Plenty nearby which is a well-known destination for surfing and bodyboarding. It also has two of the largest wineries in New Zealand. It is still on the verge of growing and is seen as a potential wine haven in near future. This is one of a perfect weekend getaway places in New Zealand. It has vivid scenic locations like mountain background along with grape and olive plantations spread across along the terrains. This area is rich with alluvial soils with minimal rainfall, peak sunshine and colder nights. This makes it a suitable place for winemaking. This place is notably famous for its Pinot Noir Wines. There are a lot of premier hotels, restaurants and cafes in this area, which again makes it a great hop spot. the dazzling beauty of New Zealand on your campervan road trip?